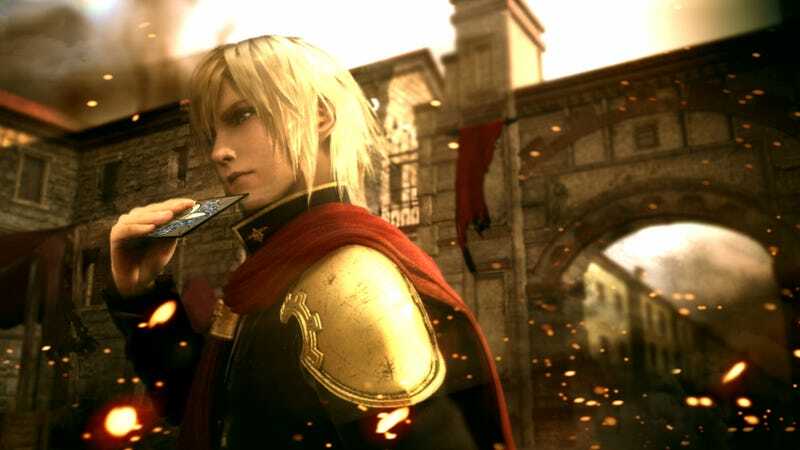 Final Fantasy fans have been patiently awaiting news of a Western release for the PSP's Final Fantasy Type-0 since the game came out in Japan in 2011. Well, it's coming out in North America and Europe, but as an HD remaster for the Xbox One and PlayStation 4. "The voice of our Western fans was instrumental in the development of Final Fantasy Type-0, and we're very excited to release this title soon," said Hajime Tabata, director of Final Fantasy Type-0 via official announcement. "The new PlayStation 4 system and Xbox One gaming and entertainment platform have really helped to re-envision this dynamic and turbulent world of Orience." Also confirmed for a Western release is Final Fantasy Agito, the free-to-play mobile game our own Richard Eisenbeis was raving about just this morning. No word on the timing of either release, though I'd imagine the iOS and Android game will hit before the Xbox One and PlayStation 4 one does.